(Reuters) - OxyContin maker Purdue Pharma LP is exploring filing for bankruptcy to address potentially significant liabilities from roughly 2,000 lawsuits alleging the drugmaker contributed to the deadly opioid crisis sweeping the United States, people familiar with the matter said on Monday. Some other states have since also sued the Sacklers. The Sacklers are currently discussing creating a nonprofit backed by family financial contributions to combat addiction and drug abuse, a person familiar with their deliberations said. In July, Purdue appointed a new board chairman, Steve Miller, a restructuring veteran who previously held leadership positions at troubled companies including auto-parts giant Delphi and the once-teetering insurer American International Group Inc.
Mortimer D.A. Sackler no longer sits on Purdue’s board, according to a filing the company made with the Connecticut secretary of state late Monday. 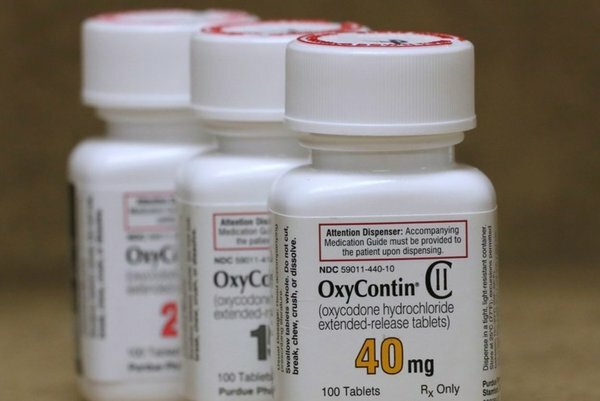 The Oklahoma case and other lawsuits seek damages from Purdue and other pharmaceutical companies accused of fueling the opioid crisis. In addition to lawsuits consolidated in an Ohio federal court, more than 300 cases are pending in state courts, and dozens of state attorneys general have sued manufacturers, including Purdue.